Last summer, Bartolotta Restaurant Group LLC wanted to add a sign on the north side of its Mr. B’s-A Bartolotta Steakhouse in Mequon. Doing so would have given the restaurant, at 11120 N. Cedarburg Road, more visibility and, according to Bartolotta, a level playing field with Café Hollander, located kitty-corner at Mequon Town Center. However, the application did not meet the requirements of Mequon’s multiple-page signage ordinance and was denied by the city’s plan commission. So was the appeal that followed in the fall. Instead, Bartolotta was allowed to put the “Mr. B’s” name on the sign for Riversite shopping center, where the restaurant is located. Mequon has long been known for its strict development rules (like its signage ordinance), large homes and modest-sized commercial buildings. But now, the city has slowly begun to embrace the concept of mixed-use developments. 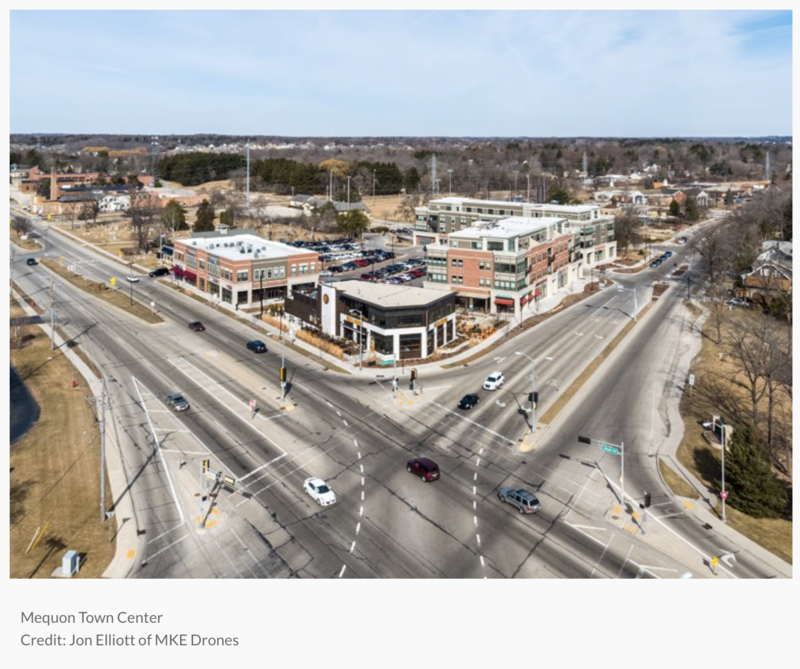 The city’s first mixed-use, urban-style development, Mequon Town Center, was completed about two years ago in a district, also called Mequon Town Center, that city officials had planned for several years. Now, two more projects are planned to complete the town center district: Spur 16 and Foxtown. Mequon offers unique challenges and opportunities for real estate developers. Maintaining some of the strictest design and development rules in the region, Mequon has earned a reputation as one of the most difficult places in the area to do business. But at the same time, Mequon is also one of the most affluent communities in the state, making it a desirable location for both residential and commercial developers.